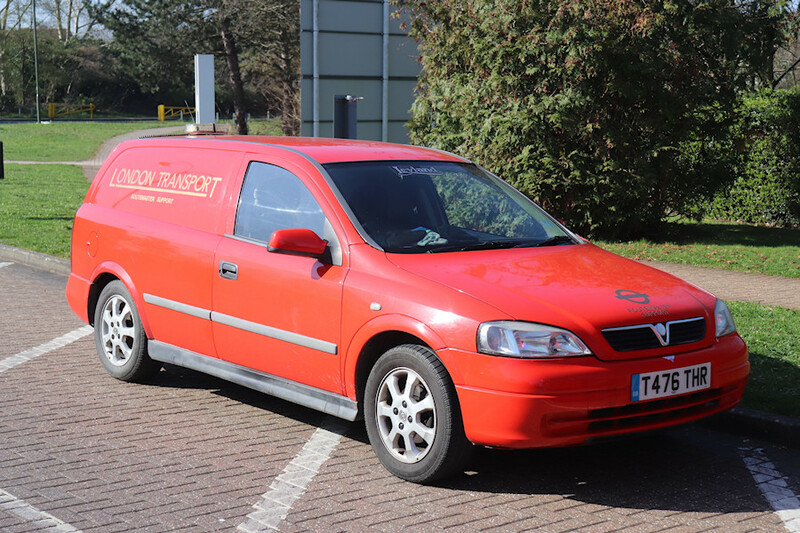 Details: Red Astra vans and estate cars were common as service vehicles in the 1980s and early 1990s but much rarer in recent years. This rather smart pseudo-SV was photographed at 'The Heights' during the Brooklands RF running day on 24th March 2019. It carries (traditional) underlined LT fleetnames, (not so traditional) gold roundels and lettering for Routemaster Support. On the rear was advertising for Route 24 bus hire. The addition of fleetnumbers would round it off nicely. Note that this Vauxhall van has apparently been fitted with a Leyland windscreen and an AEC front bumper!